« Who will protect farmers’ privacy in the big data boom? 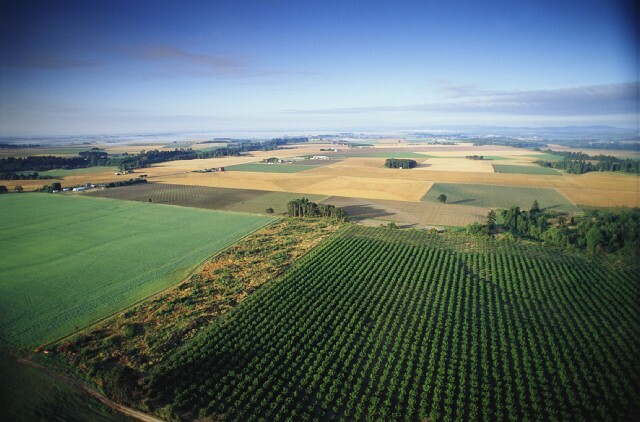 Forty percent of the U.S. is taken up by farmland. Yet only half of these acres are actually owned by active farmers. In the Corn Belt, 70 percent of growers rent some portion of their land from a non-farming landlord. And the biggest growth in non-farming landowners is coming from investors that see farmland ownership as a good business opportunity. Here’s the problem: non-farming landlords aren’t always informed on the best ways to care for the farm, which can present environmental and economic challenges for tenants and the owners themselves. 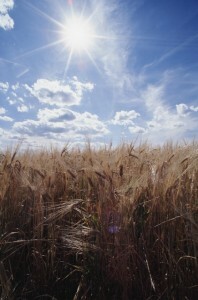 As more non-farmers buy up cropland, government agencies, organizations, and even the private sector will need to ramp up efforts to educate landowners on the importance of soil health, fertilizer efficiency, and other conservation measures in protecting their farm’s value and making the land more resilient to extreme weather events. Non-farming landowners can be a powerful partner in reducing agriculture’s environmental footprint at scale and ensuring food productivity in the future. Plus, when landowners invest in sustainability and collaborate with those farming their lands, everyone wins – growers, landowners, consumers, and the planet. Non-farming landowners might be corporations, investment firms or individuals – with the biggest growth coming from investors. 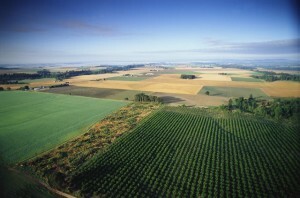 The Oakland Institute estimated that up to $10 billion in institutional capital is looking at farmland. In a survey of fund managers, farmland was the second most popular investment category. The retirement asset firm TIAA-CREF, for example, owns over 1 million farm acres. Despite increased investor interest, the most common non-farming landowner is still an individual, and oftentimes a retired or widowed woman. In Iowa, a woman 75 years or older owns one in 10 acres of farmland. There are several resources and successful models that can be replicated at scale in order to engage landowners in conservation efforts, in collaboration with those farming the land. Women Caring for the Land, a group that supports female non-farming landowners interested in conservation, says landowners are crucial for conservation efforts in the Midwest. To spread the word on conservation, they hold forums on basic soil and water management, government-sponsored conservation programs, succession planning, and critical farm management skills. So far, nearly 1,000 women have participated in these forums, and more than half have taken action to improve soil and water conservation on their farmland. Other great resources include Land for Good’s Toolbox for Leasing Farmland, which is focused on New England but has implications for landowners across the country. There’s also the Farmland Information Center (FIC), a partnership between the U.S. Department of Agriculture’s Natural Resources Conservation Service and the American Farmland Trust. The FIC offers a variety of resources about stewardship for non-farming landowners such as the Landowner’s Guide to Sustainable Farm Leasing. By making investments in conservation and encouraging their renters to use sustainable practices, landowners can be important partners in conservation. But these landowners also have a responsibility to utilize existing resources and educate themselves on how best to care for the land. Doing so is good for the farm’s property value – and for future generations. This entry was posted in fertilizer, Partnerships, Sustainable Agriculture and tagged agriculture, conservation, cropland, farmers, farmland, food production, investment, iowa, landowners, nutrient efficiency, Oakland Institute, property value, soil health, sustainability, tenants. Bookmark the permalink. Both comments and trackbacks are currently closed. Thanks for your post Katie! This is a super important issue in the ag sustainability discussion that is often overlooked. At Agren, we’ve been doing work with various partners to engage non-operator landowners in conservation for almost ten years. A key thing I often point out is, inherently, farmland owners and land operators (the farmers) have different management objectives. This doesn’t make either party “evil” it is just important to understand that each are managing toward two different purposes. A good landowner makes decisions based on maintaining their land investment over the long-term. A good farm operator makes decisions concerning that same piece of land based over the term of the lease (often a single year). This is how each party ensures they’ll still be in the business of farming for years to come. Certainly, these two goals can coexist and land management can be “optimized” for both short and long-term benefit. However, for this to occur, two things must first happen: 1) Landowners must understand that all operators are not created equal. In other words, the operator they choose does matter, and short-term decisions will impact the long-term value of their asset. 2) Landowners and operators must communicate on more than just rental rate. We find that each party is generally reluctant to initiate communication on conservation for fear of alienating the other. Would you rent your $1M+ vacation home to someone your barely know for only a handshake agreement on rental rate? Probably not.